It’s true. Many cosmetics, especially mineral-based products, use nano-particles to “protect” skin from the suns rays. The theory goes that since regular-sized particles of zinc and titanium are a non-toxic way to prevent skin from burning, smaller particles can do the same without creating the “lifeguard nose” effect. Essentially, they absorb and/or reflect light differently so that your skin doesn’t turn chalky white after application. For that reason, and a few others, I prefer to use whole, non-nano sized materials in my DIY foundation powder. You can buy non-nano powder here, but it’s pricey. This DIY foundation powder version . . .
Costs roughly $0.40 per ounce and provides a soft, translucent finish. Though the majority of your tint will come from cocoa powder, you can easily adjust color tones to complement your skin type: Cinnamon for warmer tones, bentonite clay for cooler tones. French green clay can also be added to soften reddish hues. 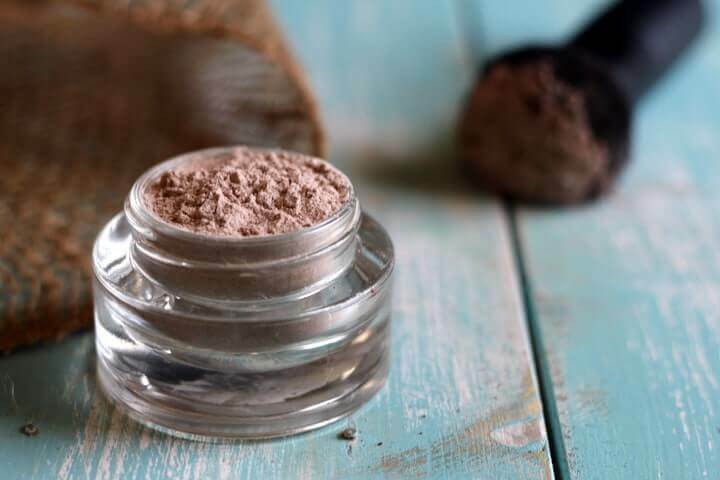 To add warm tones to your powder foundation: Mix in 1/2 teaspoon cinnamon. Add additional cinnamon in 1/4 teaspoon increments until the desired hue is reached. One thing to keep in mind is that the amount of cinnamon used should be small in comparison with the other ingredient, because large amounts may irritate skin. I’ve tried a similar recipe before and it works great! Thanks for the links to research about nanoparticles. Do you know if there’s any research about the nanoparticles in mineral makeup specifically? Bahaha! Thank you, Becky. Editing now . . . Mine didn’t work. It didn’t stick to my skin. I tried adding some coconut oil and that just made it clumpy. What am I doing wrong? Hi Amy, you didn’t do anything wrong. My guess is that if you applied a little moisturizer before application you’ll find that it sticks. You’ll definitely want it to absorb fully before applying the powder or it might set unevenly. I thought about mentioning this in the instructions, but whether it’s necessary depends on the individual. For some, this step would yield too much moisture on the skin and possibly prevent the powder from distributing evenly. Maybe I should go back and edit! I tried my own powder with similar ingrediants, after research last year, and had the same trouble. I thought that adding a few drops of a nice essential oil like lavender might help it hold together a little better so it wasn’t *so powdery* (if that makes sense). But I think I’d need a food processor or at least a spice grinder to get it all really mixed well (and non-clumped). Since I don’t own either, it’s kindof on the back burner of DIY projects for me, until I do. But thought I’d mention it incase someone else might find it helpful. 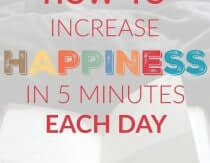 If not, let me know how it worked, either way! I had the exact same problem and even after applying it after putting moisturizer on I had issues with it being the wrong shade. I have a yellowy hue to my skin, I also have pretty dark skin (for a white girl) and by the time I did match the shade to me it burned my skin! Never again. I will swallow my pride go without makeup or take my chances with the nanoparticles. For others with yellow-tinting, yellowy ginger powder is recommended as an added color ingredient. And it’s always a good idea to get well-sourced or organic spices, from your natural foods stores & the like. Hi Mindy, I’m sorry you had trouble with the powder! I agree with Krystal that ginger powder might be a good addition to this recipe for those with olive/yellow tones. I’m wondering what you included to tint the powder with – was it cinnamon? As I mentioned int the post, I would definitely keep the amount of cinnamon used low in comparison with the other ingredients as it can irritate skin. None of the others should, though! Kinda late, but turmeric powder is also good for a yellow undertone! FYI you might want to check out Ava Anderson non toxic they have great powders with non nano particles. They also offer bb creams and a nice blush. Mindy is righ about her concerns. I have to warn against cinnamon. This conntains very strong and harsh essential oils and should not be put on sensetiive facial skin! I have cinnamon oil at home and I can tell you its super numbing and harch on the skin. Have used it in a lip plumper recip before so I know. The oils cinnamon contains for ex has numbing effect on the skin and will also cause photsensetivity, and allergic reactions with time, so no! Cinnamon is a bad idea! Just look up cinnamon oil and its properties. Does Larenim’s pressed foundation powder also not use nanoparticles? Thank you! Could you use this as a liquid foundation? so many are so heavy and it feels like my pours are clogged and suffocating. I am tired of buying brands and then I get allergic to them. So the bottles just sit there. I want to be able to make all my own makeup. Unfortunately I have not had any success converting it to a liquid foundation, but I AM working on it! any luck on the homemade liquid foundation yet? Any luck with the liquid foundation yet? I am desperate to find a good, clean liquid foundation recipe!!! I mix a bit of powder to aloe and a smidgen of coconut oil. Mix up in hands and rub on face like any other lotion. Voila’, you have a tinted moisturizer! I just have to comment on this! What a neat idea! And so inexpensive. I have all of these items in my house right now (well except the clay lol)! I cannot wait to go home and experiment with this! How creative! Thank you for this beauty recipe!! I have not had any issues with it staining. Like all makeup, you want to be careful not to get it on your collar when dressing and such, but that’s about it. I’d like to point out that although you are correct about the nano-particles being harmful to skin, they aren’t in cosmetics. This is simply because it would be pointless to have a foundations that absorbs into the skin. The point is so that it lays on top of the skin to provide coverage. I do appreciate your post on a homemade foundation. This would definitely be a way to help people who are sensitive to avoid bismuth oxychloride! Seeing this recipe for foundation powder makes me wonder if it could be made into a combination foundation with zinc oxide for spf coverage. I have a niece who is out in the sun in Arizona much of the day and needs something that is effective, good looking, as well as affordable and I’m thinking this might be the ticket. For people needing a little yellow in their powder, try turmeric. I use it in mine and it works great. Thanks for sharing the recipe for this homemade foundation. Just might try it. Those nanoparticles scare me. Not all minerals are nano particles =) you just need to contact and ask the maker. I have seen some smaller mineral makeup companies that do not use nano. This is great though for some oil control! Does this powder provide any sun protection? Or do you use something else? I can’t wait to try this, Heather! I have your DIY Beauty Recipes and I LOVE it! One question: do you think raw cacao powder would work the same? Heather, can you tell us where you get your empty containers for this foundation? I like to use https://www.mountainroseherbs.com. They have a great selection of bottles and containers! I’ve gotten various little pots and such (even a I.D. “sifter top” dupe), from Coastal Scents. Also you might look at The Container Store’s offerings, tho I suspect they’d be a little spendier. Coastal also sells brush dupes of the “original” Mineral Makeup we all know and love. Cheeeeeeeap! If you sign up to sell/buy the products you can save 25% which is essentially the shipping and handling costs. Love your blog and follow you closely so I can pass along your expert information to my daughter-in-law who has just given birth to my first Grandson. Great post!! Sounds awesome and I can’t wait to try it. One quick question: What is the shelf life for this powder? I would be comfortable using it for at least two years. For those sensitive to cinnamon: I think turmeric powder can be used to add warm/yellow tones instead of cinnamon. Love the idea. I have oily skin and currently use arrowroot powder under my make up to minimize the oil slick at the end of the day. I do all the right things for my skin otherwise and don’t use harsh soaps (washing my face with raw honey- works really well). I have noticed though that using the arrowroot powder seems to make me break out more. Does anyone know why this might be or an alternative to it? I’ve reacted to arrowroot, too. I’ve read online that orris root powder could be a substitute. Haven’t tried it yet! I plan on using this from now on. It can be a bit pink, but I covered it with a beige corn silk powder and it looked great! Didn’t work at all for me…… It wouldn’t cover a thing! Am I the only person who is concerned about walking around smelling like chocolate and cinnamon? I love the idea but don’t want to smell like a baked good!! Any feedback on this? I love this idea! But i was just wondering will the cocoa powder cause someone with oily skin to break out in spots or should it be ok? 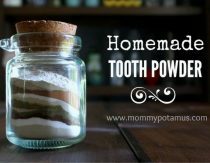 This recipe works great, you are awesome Mommypotamus! I am using a 4 oz. mason jar to keep mine in. I started off with a small batch, 1 tbsp of arrowroot, 1/2 tsp cocoa powder, and 1/8 tsp of cinnamon to give the color a little warmth. I bought my cocoa powder loose from the herb section of Whole Foods so I didn’t have to commit to a whole pound of it. It has held up in humid Tennessee weather better than any high end foundation I have ever tried. Good bye silicones and chemicals! I dust this over a homemade sunscreen cream I use for my morning moisturizer after letting my cream absorb for a few minutes. The homemade foundation powder is just the right thing to take away any shine from the cream. Can you use organic raw cacao powder instead of cocoa powder? Thanks! Tried it and love it! 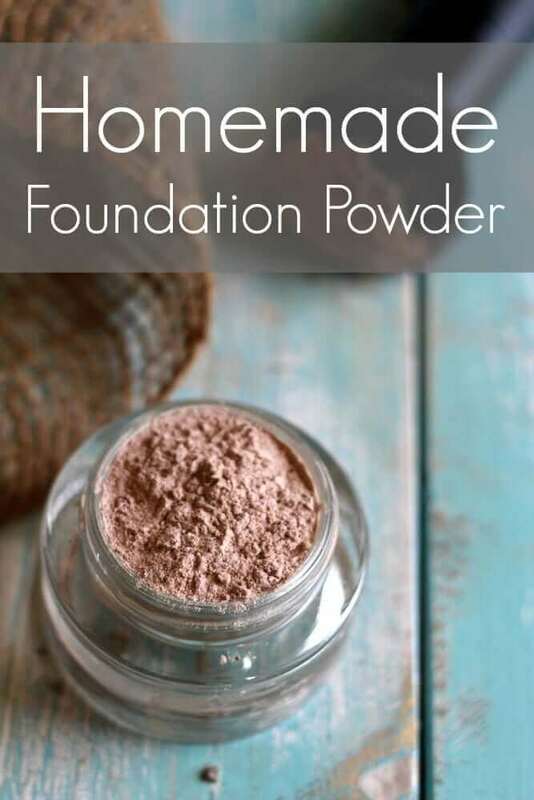 I have tried a recipe for a natural foundation powder. It seems to wear off my face in a somewhat splotchy pattern. I like the idea of it but haven’t perfected it yet. I’m interested in trying the french green clay. is it suppose to cover like regular foundation? or is it a powder to control oil? cause it does control oil great, but it didnt cover anything for me. am i doing something wrong? Only makeup I really *need* is a little eyeliner (liquid because it dries and doesn’t transfer into my crease, I have kind of droopy eyelids I guess) and mascara. Any ideas for making those without harsh chemicals? I haven’t tried it yet, but am keen to when my current tube runs out. Good thing is the post says you can use it as a liquid eyeliner too! Can you use Raw Cacao? I love this foundation. I have extremely oily skin that is usually glistening by the end of the day. The powders in recipe this keep my face virtually shine-free for the entire day. My complexion is slightly pink and the above recipe was a little too brown for me so I added a smidge of hibiscus flower powder to get more of a pink tone to it. It worked perfectly. Yes, it’s the same thing! Do you know anything about Youngblood cosmetics natural loose mineral foundation or the website and brands on skincarebyalana.com? and do you know anything about LaurEss pure mineral cosmetics? I tried this too and had the same issue. Try leaving out cinnamon. I used just arrowroot, coca, and a little turmeric since I am a yellow tone (leave out if you are not!) and it was very smooth. Nutmeg and cinnamon are more gritty. Bentonite clay can be a tiny bit gritty too. You could try grinding them all in a coffee grinder or use a milling blade for a blender. Bentonite clay should not come in contact with metal though. I only use this powder to set my mineral makeup which I make myself, since I need some coverage. As for humidity, this doesn’t withstand water, sweat or moisture well, I found. It is food, and like clay, it gets muddy and dark when wet. Minerals do not and they are not toxic, just be sure to use non-nano size minerals. If you want some sun protection with this and a little coverage, you could add just Zinc oxide with the arrowroot and other herbs. Hope this helps! Heather, what are your thoughts on the makeup line from “100% Pure”? They have all sorts of products that are organic and fruit-tinted/dyed including foundation, eye brow filler, mascara, etc. Could you take a look and let us readers know if this is a product line you’d recommend? I’m not ready for diy makeup just yet. Thanks! Thanks for letting me know! When I researched for this post they were listed as non-nano, but it seems things have changed. I’ve removed the recommendation from the post and will be on the lookout for another option. Made this. It’s really soft and absorbent. I color-matched it to the last of my previous foundation. So far it’s staying on. I used an essential oil serum first and let it soak in for 10 or 15 min. before applying the powder foundation. Yes, it rubs off easier but other than that it’s fun and easy to make and saves me money. Win win! For better sticking to my skin I mix silicium powder and magnesium stearaat with same amounts of arrowroot powder or maizena. Then mix in the cacaopowder or other natural colours such as beetroot powder, hibiscuspowder, roseleafpowder. All with their own additional skin care properties. For skin calming properties mix in calamine powder (soft pink colour). I use this kind of mixtures since over à year now and it works perfectly! I usually get my supplies from Mountain Rose Herbs. 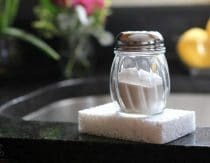 They also offer bentonite clay, but say that it is sodium bentonite, while the link in the recipe is calcium bentonite. Do you have any thoughts? Thank you, for this and all the recipes here. mommypatamus is a WONDERFUL resource. Help!!!! Not sure what I’m doing wrong, I want this to work sooo bad. I can’t seem to get the ingredients to come together, you can see the white separated from the other colors (do you put everything in a blender?) I’m fair skinned with a red undertone. I’ve tried variations of tumeric, cocoa, cinnamon and nothing wants to match 🙁 any ideas? Thanks for all the info, love your site! When cocoa is moistened it turns very dark. What happens when you sweat – do the colors change/darken? I made this today and must say that I am very impressed so far. It has a lovely soft finish and smells faintly of cocoa. I do need to use a bit more to get even coverage, but it is a lot cheaper and a much better choice than the commercial powders. Thank you, Heather, for another recipe that makes my life better and actually works well! Would carob powder work in the place of cocoa? That’s all I have. I haven’t tried it so I’m not sure. If you do please let us know how it works out! hi I hope you still answer. If this question was already answered i apologize. I went out and bought all the ingredients good stuff. I seem to have gritty feeling powder that doesn’t blend or act like make up. I am going to try putting it in my coffee grinder. i put coconut oil on my skin which felt nice and absorbed nicely but the powder with cocoa arrowroot powder and ginger just feels gritty and doesn’t blend in. i even put regular liquid foundation on all was tried on my arm it just didn’t act right. ??? hope the coffee grinder works. I really would like this to work. it would save a lot of money and will be fun if i can figure out how to make it right. 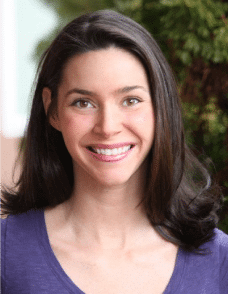 Heather, I would love to know if you found any non-nano makeup to buy? Do you have any thoughts about 100% pure makeup. 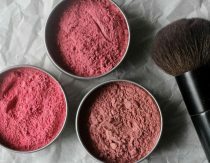 https://www.100percentpure.com/ It is my understanding that they do not use nano particles for the minerals used in their makeup, but other ingredients that are beneficial to the skin are nano. 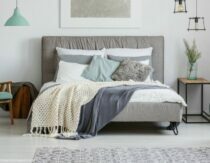 I would love to know your thoughts as I really wish I could find something to purchase. Thanks so much!! I’m happy with the colour I came up with, and if I put moisturiser on before then it sticks to my skin, but all it really does is take the shine off my skin, I definitely prefer thr finish of shop bought stuff but this is still ok.